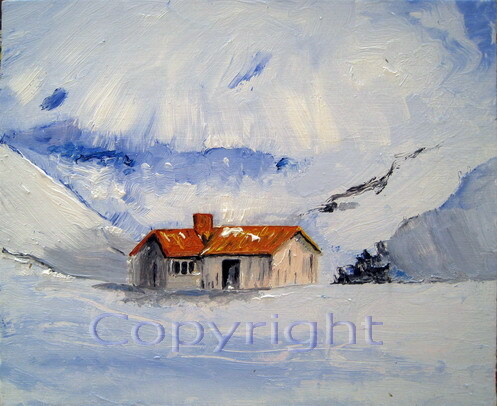 This is a small oil painting, size approx 9" x 12". I rather like the sharp contrast of the huts standing out against the mountains. The color contrast is indeed very effective. I really like the economy of your brushstrokes.